Product Description Pack contains two inch nylon straps to secure either a �D� or Jumbo �D� oxygen tank. On each side of the tank you will find a pouch for different needs. Above the tank straps is a large utility pouch with a clear vinyl window to view your contents with ease. Below the tank you will find a quick draw mesh pouch. Each of these pouches are secured with a hook and loop system and can be removed with ease. Inside the front panel is a variety of pockets and elastic loops to customize your equipment setup. To help keep everything clean, a zippered vinyl cover protects supplies. The face of the backpack has a large pouch to slide in papers or other flat supplies. 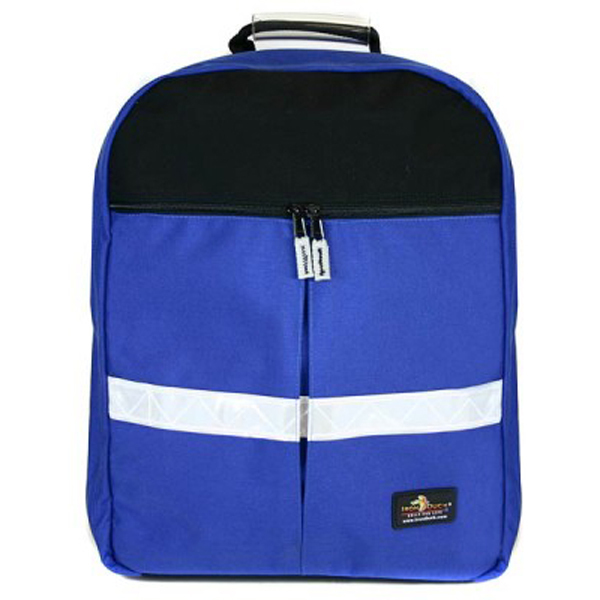 Carry the Smart Pack Airway Backpack over your shoulder with the single shoulder strap, or carry it under your arm.